Fig. 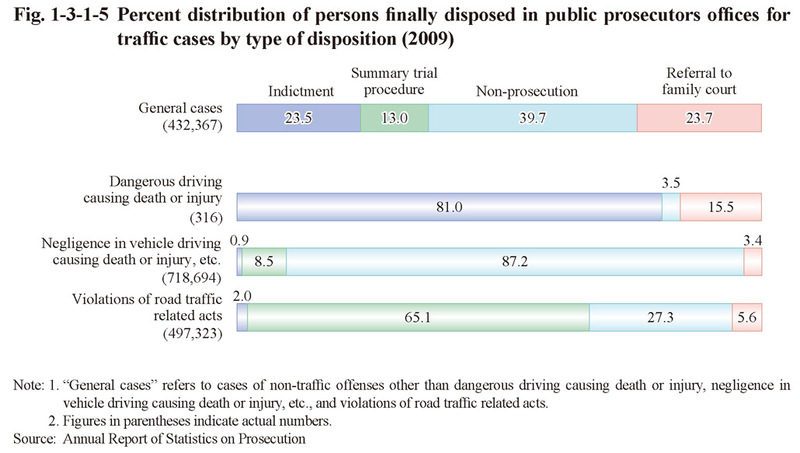 1-3-1-5 shows the percent distribution of persons finally disposed in public prosecutors offices for dangerous driving causing death or injury, negligence in vehicle driving causing death or injury, etc., and violations of road traffic related acts by type of disposition, while also comparing them with non-traffic cases in 2009. The proportion of indictments for dangerous driving causing death or injury was remarkably high at 81.0% when compared with non-traffic cases. 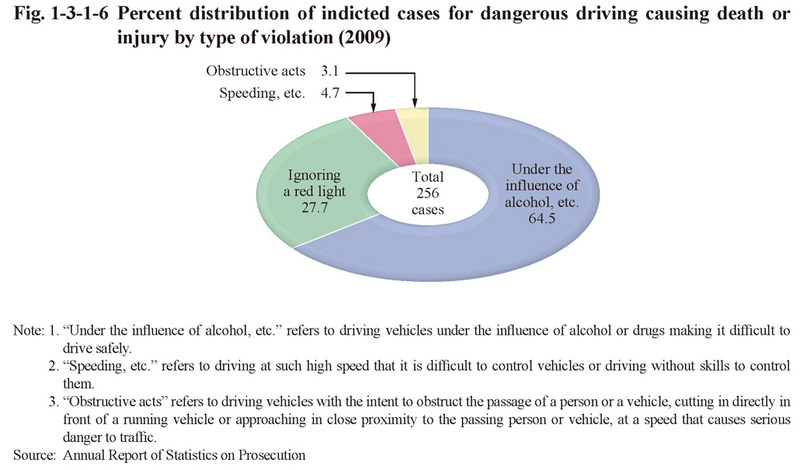 The proportions of indictments for negligence in vehicle driving causing death or injury, etc. and violations of road traffic related acts were significantly lower at less than 2.0%, with the proportion of non-prosecutions for the former being remarkably high, while that of the summary trial procedure was also high with the latter. Fig. 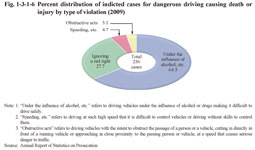 1-3-1-6 shows the percent distribution of indicted cases for dangerous driving causing death or injury by type of violation in 2009.